Everyone will admire you when you wear this clad to elegant affairs. 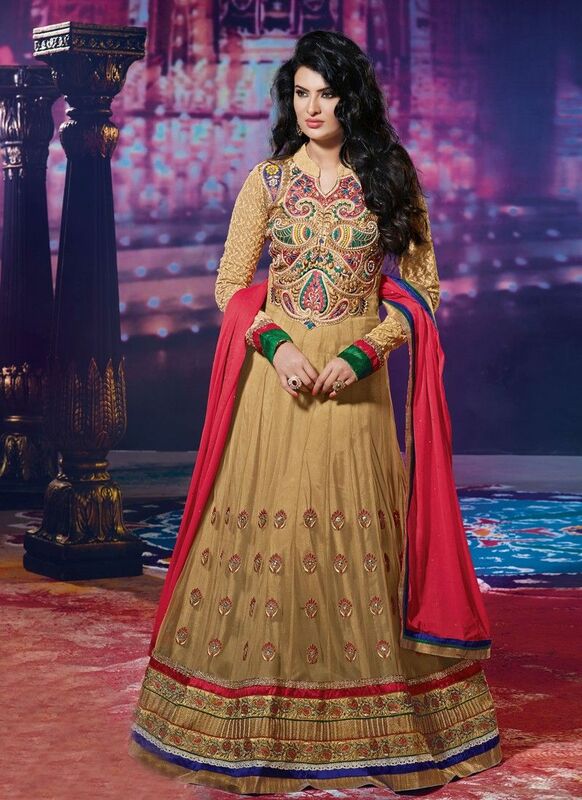 Add the sense of feminine beauty by this beige color net anarkali salwar kameez. The lovely resham work, multi work, lace, beads, patch border work and stones work throughout the attire is awe inspiring. Comes with a matching bottom and contrast dupatta.